Every year, the Town of Davidson organizes a Halloween March on the last Friday in October, during which kids are invited to don their finest costume and strut down the sidewalk of Main Street, collecting candy from merchants as they proceed. Main Street Books has been a proud annual participant, and this year is no exception. 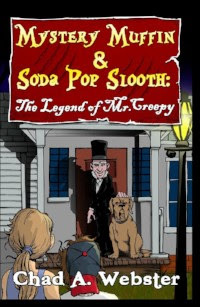 While you're downtown, stop in the store for more treats, for crafts, and to meet Chad Webster, author of Mystery Muffin and Soda Pop Sleuth, a page turner for kids ages 8 to 12, in which Mystery Muffin and her best friend, Soda Pop Slooth, get a new neighbor and strange things start to happen. Rumors fly, everyone is whispering and all believe that the new resident may actually be a werewolf! ith the help of the police, Mystery and Soda Pop investigate their new neighbor and set out to uncover the truth.